“Kenya” Lucas replies without a second thought. Despite being born in the UK his earliest memories were from our time in Kenya. It’s been over a year now since we left but our time there continues to impact almost every area of our life: our children, our work, our conversations, our friends and our dreams. A lot has happened since we left and since we last wrote on the blog. Elena (made in Kenya) is about to reach ten months old. Lucas has just had his last day at pre-school and will start primary school in September, Madeleine is wading through hundreds of online forms in preparation to returning to doctoring after three years out of the system and I’m continuing to work with multiple amazing people at growing Peek and working on several things all eye related. The Ujima Bakehouse in Kenya is growing and we are actively trying to secure a coffee shop in town to sell bread from to help build our customer base in preparation for Ben (the awesome baker from E5) and his team to fly out and train the bakers in new breads, croissants and various baked delights. So far the Bakehouse has given more than £5,000 over the last 6 months split between St Mary’s Eye Hospital and the Ujima Foundation supporting both local eye care and providing dozens of young adult orphans with employment opportunities. There is still some way to go to ensure long-term sustainability and what we hope will be higher levels of giving for many years to come. Despite the challenges the Bakehouse team continues to work hard and push boundaries to make this a success. 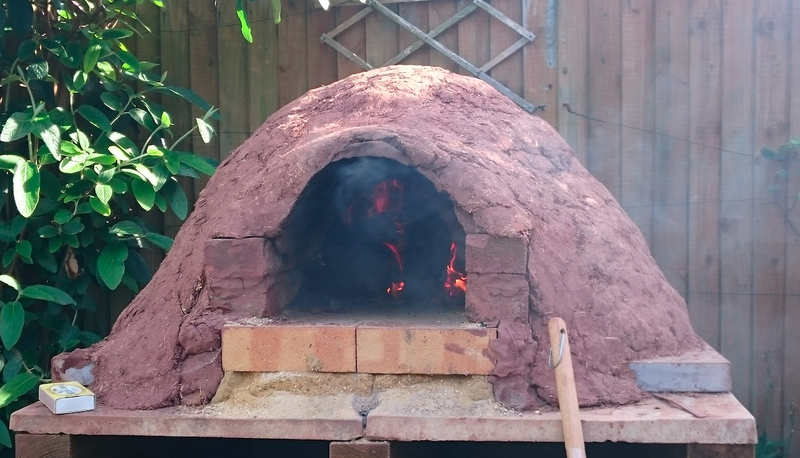 Inspired by our beautiful (and crazy) friends, Kate and Johnny in Kenya who continue to challenge convention and make incredible things happen we decided to make our mini-Bakehouse at home, a wood fired clay oven in the garden that the most incredible pizzas and sourdough can be made in. We were lucky enough to enjoy some home made pizzas from their oven on our last visit in January and think it may be Elena’s fault that they got broody and are now expecting another! Work with Peek is growing exponentially. We now are involved in eye research or programs in eight countries: Kenya, Tanzania, Botswana, Mali, Malawi, Sierra Leone, Madagascar and India with the hope that we can support eye care all over the world, particularly in the areas of greatest need. If you are interested in following what is going on with Peek we are providing regular updates through the Peek newsletter at www.peekvision.org. Some of our data from the Peek work in Kenya has recently been published and we hope to have our first public app live very soon!